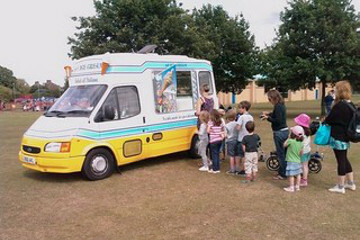 Ice cream van hire in Surrey, Berkshire, London and South UK. Ice cream van hire for corporate events. Branded ice cream vans available for product launches, marketing, company fun days, staff incentives and more. 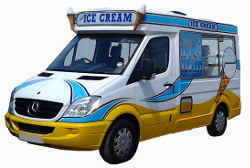 Hire an ice cream van for your wedding, birthday party or special celebration. 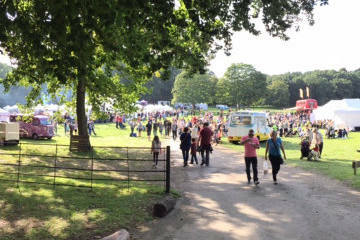 Wow your guests with the arrival of one of our Mr Whippy ice cream vans! Modern and Vintage Ice Cream Vans available for all types of events. Festivals, Fetes, Carnivals, Village Days, Agricultural Shows and more. We attend events at many schools, clubs, charities and other organisations to support their fundraising. Fixed fee or percentage donation available. Welcome to Mantio Ice Cream! We are a professional, mobile ice cream van hire company offering our service across Surrey, Berkshire, London and the South East of England. If you are planning an event and are looking to book an ice cream van then we would be pleased to help. We offer immaculately clean, modern or vintage, hosted ice cream van hire for public, private and corporate events. For public events we do not charge to attend, we work on either a fee or commission basis. We operate a modern fleet of icecream vans across the South East UK. We can provide your choice of Mr Whippy ice cream, lollies and/or gelato for indoor and outdoor events. Covering all sizes of event, from some of the country's biggest shows to smaller local events, we are proud to actively participate and support in fundraising at many charity and community events. Our ice cream van rental service is available for all types of corporate, public and private events. Schools, charities and clubs can also benefit from our commission offer when booking us for their events. Please see our fundraising page for further details. For more details on hire costs please visit our pricing page. Our menus include a full range of top quality products including all the traditional ice cream favourites you would expect. From Mr Whippy 99s, Oysters, Screwballs and lollies to luxury waffle cones topped with a choice from delicious gelato flavours. We are experienced event caterers and offer excellent customer service. Whatever your event, we pride ourselves on offering a reliable, friendly and professional service with a smile. 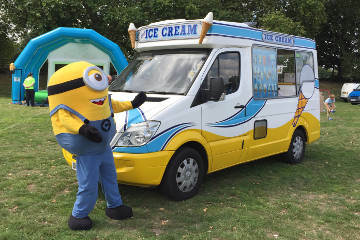 Our ice cream vans attend events in all parts of Surrey including Guildford, Epsom, Farnham, Kingston, Woking, Reigate, Leatherhead, Camberley, Bagshot, Dorking and Horley. Available for events in Middlesex including Ashford, Brentford, Enfield, Feltham, Hampton, Harrow, Hayes, Isleworth, Northwood, Ruislip, Shepperton, Staines, Sunbury, Hanworth, Uxbridge, Twickenham. 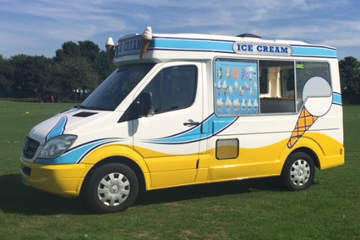 Our icecream vans are available to hire across Berkshire including in the towns of Reading, Slough, Bracknell, Maidenhead, Wokingham, Windsor, Sandhurst, as well as Newbury, Ascot, Sunningdale, Crowthorne and Twyford. We also cover London, Greater London, Kent, Berkshire, Hertfordshire and Bedfordshire, West Sussex, Hampshire and East Sussex. We can also travel further afield depending on the occasion.